Need more information about booking Home 189169 ? Shorley wall is a three bedroom semi-detached house, located in quiet cul-de-sac within minutes of Broadstairs town and beach. It is suitable for a maximum of 4 adults and 2 children. The private pretty enclosed rear garden has split level patios. There is side access to the garden. The front of the house is paved to offer parking for two vehicles, one behind the other. Children are most welcome and catered for. Strictly no pets and no smoking. Free wifi installed for your convenience. Please note that the twin room has two narrow single beds, suitable for children up to the age of 16. You must not hold any parties at the property nor invite guests to the house who are not registered as staying at the property. The accommodation is suitable for maximum of 4 adults and 2 children, a king size bedroom, a double bedroom and a twin with two children’s beds, children staying in the twin room must not be older than 16 years of age. The area is has a good bus system and bus maps can be picked up from the Broadstairs Information Kiosk on the Promenade behind the Royal Albion Hotel. This House has 3 bedrooms, 1 bathroom and sleeps 6. It’s been listed on Holiday Lettings since 03 Nov 2011. 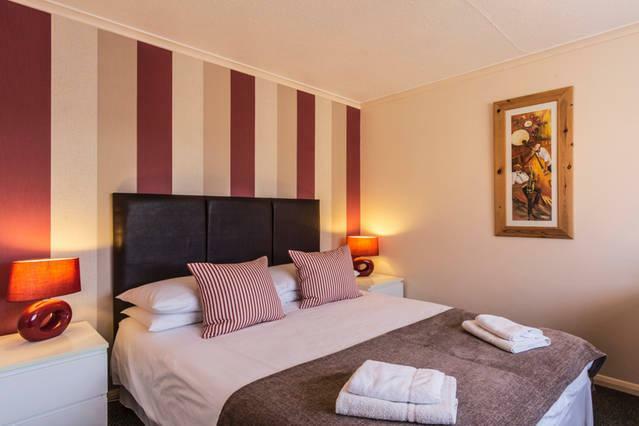 Located in Isle of Thanet, it has 72 reviews with an overall rating of 5. The average weekly rate varies from £882 to £1145. We spent a very pleasant Easter Weekend at Shorley Wall. The property was immaculate, in a quiet location but still close to all Broadstairs has to offer. The owner, Gina, was there to greet us and was also extremely prompt at replying to our queries prior to our stay. Highly recommended. Very clean, very comfortable, Excellent facilities, No problems at all. Well prepared before we arrived by owners. She was very helpful and told us to contact her if we had any problems - we had none. Beautifully decorated home in central location. We found everything we needed in this well looked after holiday home, including a warm welcome by the owner. We spent 3 wonderful days at Shorley Wall with our three year old son. The house has everything you need and is located very close to the town and to the beach (5-10 minute walk). Broadstairs is not only a lovely seaside town but it is also within short driving distance to other beaches to explore. We thoroughly enjoyed our stay and look forward to our next visit. Owner's reply: Hi Carol and Stephen, thanks for a lovely review, happy to hear the birthday celebrations went well and look forward to seeing you in the future. Had an excellent break at this property, had everything we needed, plenty of space for the family and close enough to the town and the beach so that the car could be left behind when going into Broadstairs. Very quiet and comfortable, slept really well and would definitely stay here again. Home from home! The Easter Egg left for my daughter was a lovely touch. Owner's reply: It was a pleasure to host such a lovely family and I hope to see you again in the future. This is the best holiday home we have stayed in at Broadstairs and we have been visiting for a long time. A wonderful welcome from Gina and the starter pack of bread, butter, milk etc was greatly appreciated. The house itself is lovely, the rooms are nicely decorated with a seaside theme we did feel as though we were on holiday. Everything we needed for our stay was provided so we were very comfortable for our two weeks. Being able to park two cars was also good. Our youngest grandaughter was so upset to be leaving and wanted this to be her house!! We are looking forward to our next visit. We enjoyed a midweek break in this great little house. Clean, warm and everything you could need. For us, the best part of the property was the location to restaurants, seafront, bars and the lovely little cinema, didn't have to take the car out at all. Would most definitely recommend this holiday let. Thanks Gina. We had a fantastic week at Shorley Wall and Gina, the owner, was very accommodating and helpful. It has everything you need to make your stay in Broadstairs a great one. It's a 5 minute walk to the town and beach. Perfect location! A lovely house in a very quiet but central loction, with the most helpful and hospitable hosts you are likely to find.